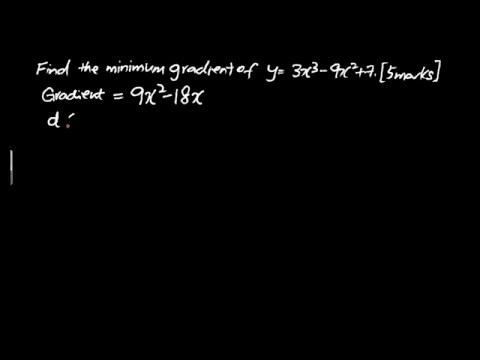 I received this question on finding minimum gradient of a curve and it is confusing for many students as they probably lack the flexibility in seeing gradient beyond dy/dx. I have presented this question in a slightly different manner by reducing the usage of first derivative (dy/dx) and second derivative (d^2y/dx^2). Check the 3 minutes video by clicking on the video to find out the step-by-step solutions and the explanations. I would be expecting cross-chapters questions on Monday. Just like you, I'm a candidate so the above list is just my suggestion.